I picked up a great new math picture book from Cover to Cover last week. 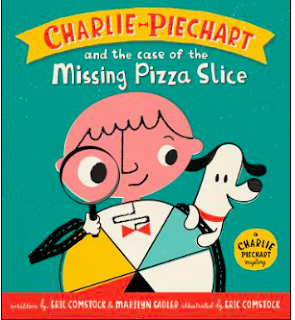 It is called Charlie-Piechart and the Case of the Missing Pizza Slice. Charlie has some friends over and they are ordering pizza. There are 6 pizza eaters so everyone will get 2 slices. But then one slice goes missing so they are not sure what to do! 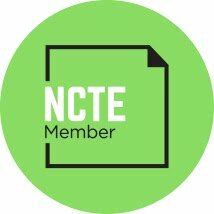 This is a great book about fractions and the one thing I think it explains well is parts in a group--for example when Charlie is trying to solve the mystery of who stole the piece of pizza, he knows that every person is 1 out of 5 or 1/5 of his suspects but as people are cleared, the fraction changes to 1/4 and 1/3 etc. as he looks at each suspect. This is a fun story that will start lots of good conversations about fractions. I am finding with 3rd graders, stories like this read over and over help kids make sense of some of the more complex math concepts. So I am happy to have this one for our classroom. I just ordered this for my math-loving five year old (though I'll likely save it for a bit). Thanks!